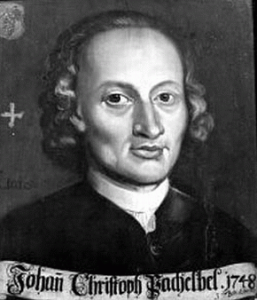 Pachelbel’s Canon,” also known as “Canon in D Major” is by Johann Pachelbel, a German composer from the Baroque era. Like most other works by Pachelbel and other pre-1700 composers, the Canon remained forgotten for centuries and was rediscovered only in the 20th century. Several decades after it was first published in 1919 by Gustav Beckmann, who included the score in his article on Pachelbel’s chamber music, the piece became extremely popular. The Canon was first recorded in 1940 by Arthur Fiedler. Today it is frequently played at weddings and included on classical music compilations, and while not originally a Christmas song, is quite popular around the holiday season. Justin, I love your improvisations, and also the way you so freely share them. Merry Christmas! Justin, you have been blessed with such a beautiful talent. Thank you for sharing this talent with us. I think the gentleman on the portrait is Leopold Mozart, the father of Wolfgang Amadey Mozart. Thanks for pointing that out! I’ll get that fixed. Thank you very much for your fantastic web site. You are great gifted person.